Raoul Berger was the foremost scholar of constitutional law to defend the doctrine of originalism in our day. His works Impeachment, Executive Privilege, and Government by Judiciary set the standards for subsequent work in the field of constitutional interpretation and influenced both expert and public opinion during some of the worst constitutional crises of the late twentieth century. In this program, Berger’s thought is set in the context of his long and rich life from his earliest days as a young Russian emigre in Chicago, to his first career in music, and his eventual fascination with the legal underpinnings of a free society. 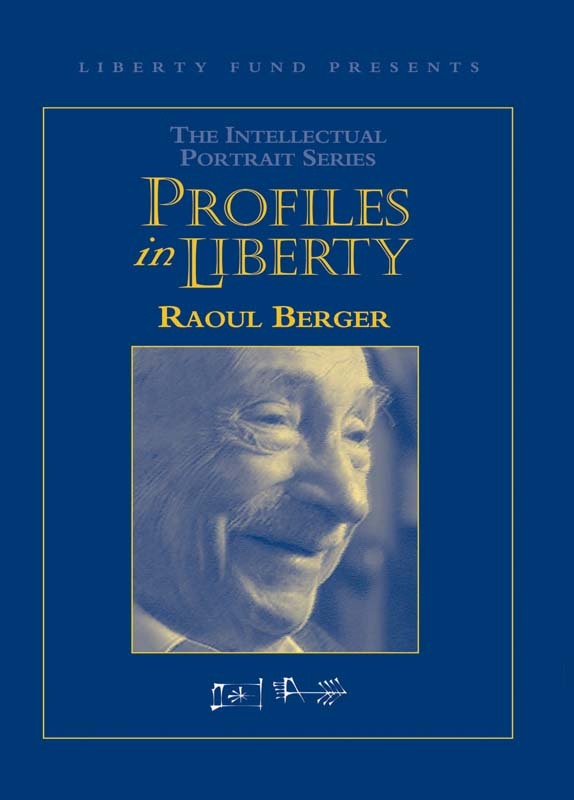 Combining original footage of his life, his personal reflections, and commentary, Liberty Fund presents a Profile in Liberty: Raoul Berger. DVD. © 2000. 61 minutes.